There is a very mysterious report about an immediate close down of a Solar Observatory in New Mexico one week ago. All personnel were evacuated – everything surrending the observatory is also closed, including a Post Office. Even the police in that area are clueless as to what is going on. FBI has been involved but the word is “mum.” They will not tell the public what is happening. Now, I’m not the sharpest tool in the shed, but I do like putting puzzles together. As I research for my articles, I seem to be getting better at doing this. Now Solar storms are common, but THIS solar storm happened after NASA “touched the sun.” You do know that the sun is a big ball of fire, right? And the way in which God positioned us on earth in relation to the sun is perfect – just like everything else He created. I believe that this event is just part of the events in the end times. What will come of this is not known – not yet. Brethren: THIS HAS JUST COME OUT. I DON’T KNOW IF IT IS TRUE, BUT WORTH READING! A SOLAR observatory which was shut down by the FBI without reason was due to foreign hacking and spying, conspiracy theorists have suggested online. The FBI swarmed on the National Solar Observatory (NSO) in New Mexico on September 6, where it has remained closed ever since. The investigative agency has yet to give a reason why it has closed down the NSO where it has set up base, leading to conspiracy theories across the web. Theories are abound that there could be some sort of alien craft or object, or a massive solar flare which the observatory spotted and the FBI wants to keep under wraps. However, another theory which has arisen is that a foreign agent hacked one of the antennae at the NSO in order to monitor the military in the US. Theoretically, this would make sense to hack the NSO as it is near the White Sands Missile Range, also in New Mexico. White Sands has primarily been used to test newly developed weapons and is infamous as the world’s first testing ground for the atomic bomb. As such, some people believe China or Russia whats to know what is going on there. One user on Reddit wrote: “Unsavoury actors, such as those from China or Russia, could’ve gained access to the operations there and are or have been using it to spy on US military operations or missile systems. But while the FBI remain tight-lipped about the ordeal, there is no way of officially knowing what is currently happening in New Mexico. The official line given was “security reasons” but local law enforcement in Sunspot, New Mexico, and workers at the the observatory have no idea what is going on. To add more mystery to the case, locals have reported seeing Black Hawk helicopters flying over the site. Otero County Sheriff Benny House told Alamogordo Daily News: “The FBI is refusing to tell us what’s going on. “We’ve got people up there that requested us to stand by while they evacuate it. Nobody would really elaborate on any of the circumstances as to why. Keep looking up brethren – but not at the sun – but be looking for the SON. Very interesting. And, as we know, the FBI cannot be trusted. Hi Geri, It is known now by many Space-Program never closed since 50’s We are told the Elite’s have set up a New Colony on one of the Planet’s where 1,000 Soldiers sent on a One way Trip, also 1,000 children send, they don’t have to go by means of Rocket, this was for show, they go through Port Hole’s –Star-Gate’s , but Dark Funding Program’s Stopped by Pres. Trump. This ongoing Secret Space Program is why many Scientist . Doctor’s have been killed, those that refused to keep their Secret, It is why the Blackmail of many used by False Pictures of them with Children. Allegedly . Now this may not have a thing to do with Mexico-Sun, but could be Mexico is where they gather , or a Port Hole or Satr-Gate known only to them. Is this why they have NO! concern for welfare of EARTH & its people Will they leave Planet Earth with one Last parting Gift after their BLAST-OFF a NUKE ? Did they do something to the Sun to speed up their plans for DEPOPULATION of Human Life ? But wait ! Pres Trump has a Plan———–God Has a Plan ! Good shall have Victory over Evil, Jesus over Satan Jesus Wins ! Our ONE True GOD the HEAVENLY FATHER who art in Heaven Above CREATED the HEAVENS ( UNIVERSE ) and the EARTH from HEAVEN ABOVE!! 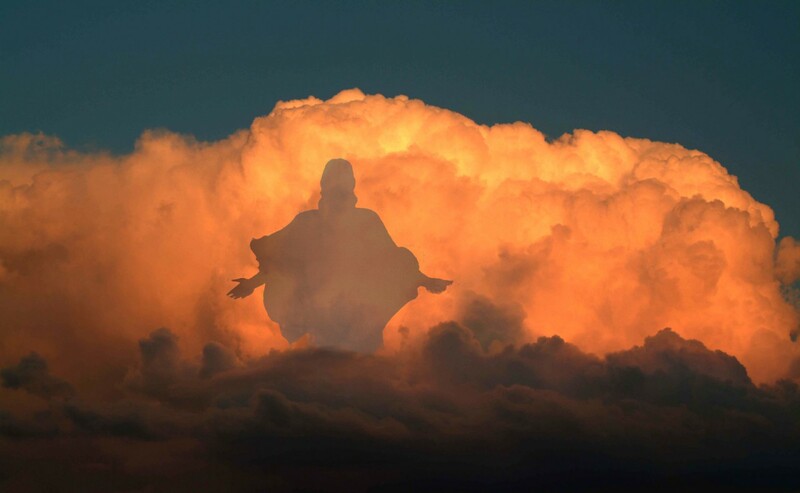 Our ONE True GOD the HEAVENLY FATHER who art in Heaven Above and HIS SON Christ-MESSIAH Jesus-Yeshua is in CONTROL of the HEAVENS ( UNIVERSE ) and the EARTH from HEAVEN ABOVE!! Our ONE True GOD the HEAVENLY FATHER who art in Heaven Above and HIS LOVE 💜💕 is ETERNAL THROUGH HIS SON Christ-MESSIAH Jesus-Yeshua for Today and Everyday Forevermore Everyone!! So, NASA has created some kind of material that will withstand the heat of the sun long enough for this “vessel” to “touch the sun”? How hot is the sun again? Go to NASA.com – they tell all about it. Any thing new on this? All I read today is that 10-12 other observatories shut down as well. I haven’t really vetted this info. If I hear anything more I will post it here.